Eleanor Lansing Dulles (June 1, 1895 - October 30, 1996) was an author, teacher and United States Government employee. She was a member of a diplomatic dynasty which spanned three generations. Her grandfather, John Watson Foster, served as United States Secretary of State under President Benjamin Harrison. Her mother's sister was the wife of Robert Lansing, Secretary of State under President Woodrow Wilson. Her oldest brother, John Foster Dulles, was Secretary of State under President Dwight D. Eisenhower, while another brother, Allen Welsh Dulles, served as Director of the Central Intelligence Agency during the Eisenhower and Kennedy Administrations; Eleanor Lansing Dulles was also the paternal aunt of Roman Catholic Cardinal Avery Robert Dulles. Eleanor spent 26 years in government service. Although she never reached the Cabinet-level post that so many of the Dulles men did, her background in economics and her familiarity with European affairs enabled her to fill a number of important State Department positions. After graduating from Byrn Mawr College in 1917, she went to France and spent two years working for refugee relief organizations in Paris. When World War I ended she returned to the United States to continue her schooling and eventually received a Ph.D. in economics from Harvard University in 1926. For the next ten years she taught economics at various colleges. As a student and college professor she made many trips to Europe to study and conduct research on European financial matters. In 1936 Eleanor entered government service. Her first position was at the Social Security Board where she studied the economic aspects of financing the Social Security program. In 1942 she transferred twice. Her first move was to the Board of Economic Warfare where she spent five months studying various types of international economic matters. Then, in September 1942, she went to the Department of State, where she worked for almost twenty years. During her first three years at the State Department, Eleanor was involved in post-war economic planning. 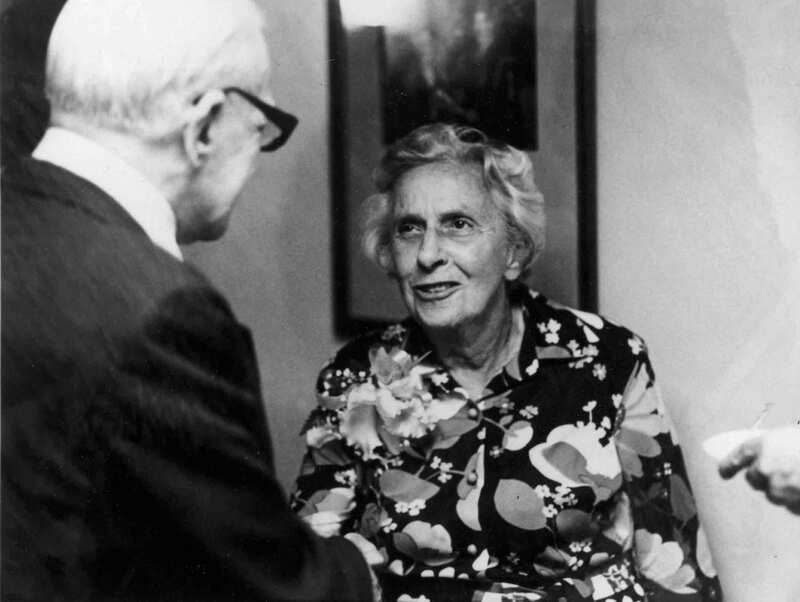 She helped determine the U.S. position on international financial cooperation, and participated in the Bretton Woods Conference of 1944 at which the International Monetary Fund and the International Bank for Reconstruction and Development were established. After the end of World War II, Eleanor went to Europe where she became involved in the reconstruction of the Austrian economy. Later, she was hailed as "the Mother of Berlin" for helping to revitalize the City of Berlin's economy and culture during the 1950s. In 1949 Eleanor transferred to the German Desk where she took an active interest in the affairs of Berlin. She made many trips to Berlin and was involved in planning the construction of the Berlin Congress Hall and the Berlin Medical Center. Her interest in Germany and Berlin continued even after she left the State Department in 1962. In 1967, she represented the United States at the funeral of Konrad Adenauer. She also wrote several books describing conditions in Germany. In 1959 Eleanor transferred from the German Desk to the Office of Intelligence and Research. At the latter post she became involved in a study of economic conditions in underdeveloped countries. As part of the study she traveled extensively in Africa, Latin America and South Asia. Dulles left the State Department in 1962, and returned to teaching; first at Duke University and then at Georgetown University. She authored several books on U.S. foreign policy and continued her trips abroad, sometimes as a representative of the U.S. Government.